Grand Rounds participants discussing topic questions. 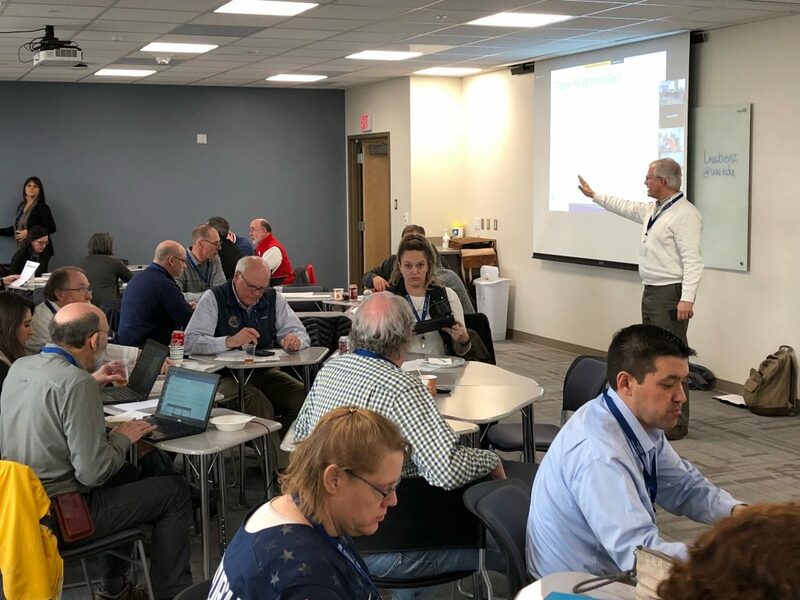 Randall Longenecker, MD, Rural PREP’s Community of Practice Lead hosting the session. 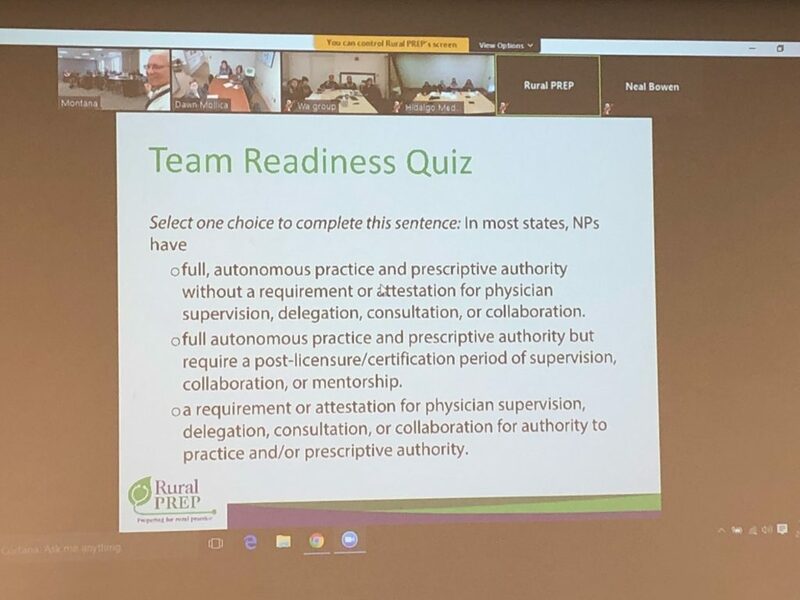 What is Rural PREP Grand Rounds? 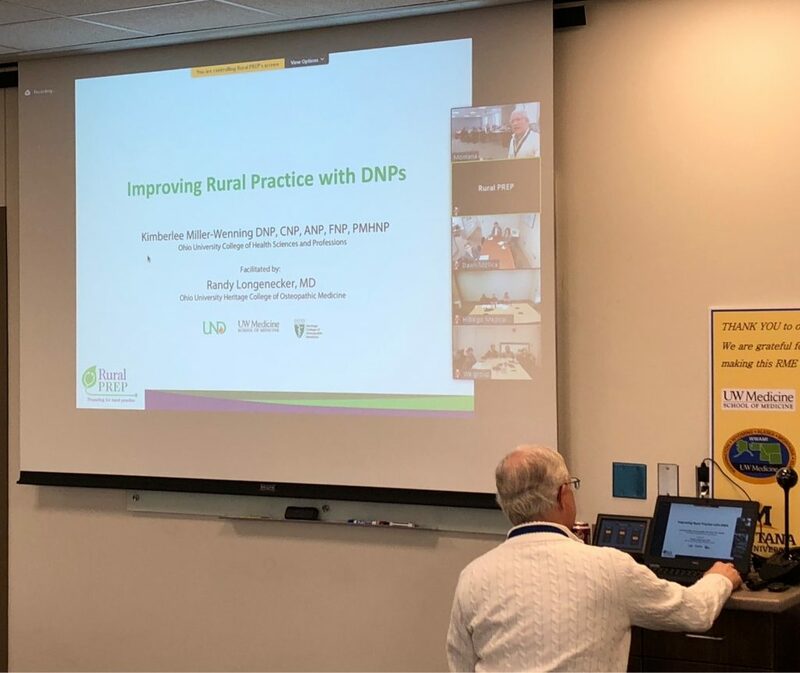 Rural PREP Grand Rounds bring experts on rural health into your teaching round setting. 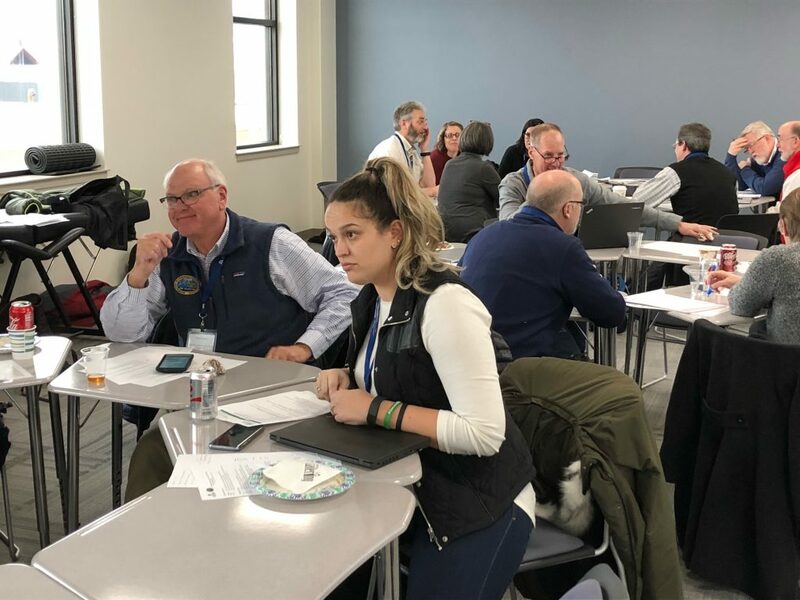 These short, focused team-based learning (TBL) sessions are relevant to rural health and rural primary care practice and designed for learners from multiple professions at various stages of their professional development. 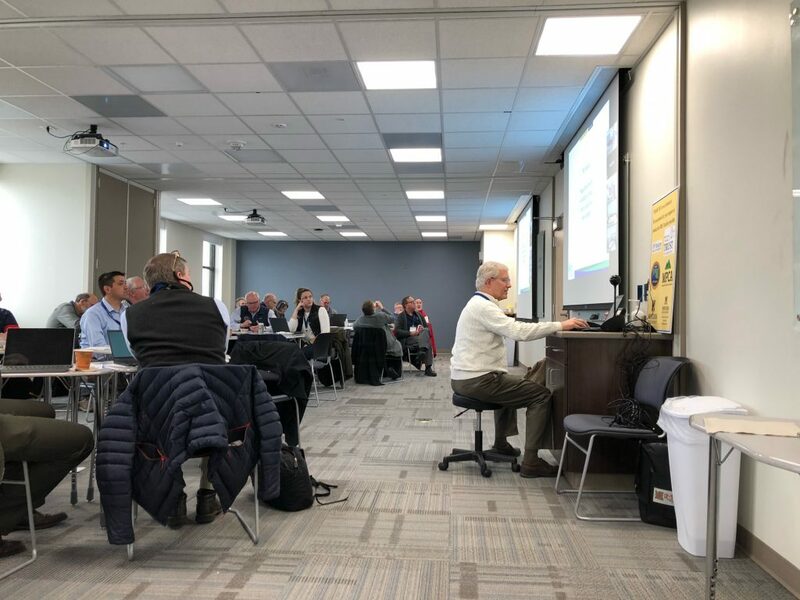 The Grand Rounds process engages teams from rural sites across the US in an online event that is both a presentation of a rural health topic and an active learning session. You can also use the material asynchronously as a TBL package. The live version occurs up to eight times yearly (in August, September, October, November, January, February, March, and April), with a different featured program presenter each month. The best of these are packaged and placed on our Resource Library page and our archives so that rural health professions training programs can use them on their own time and in their own place. 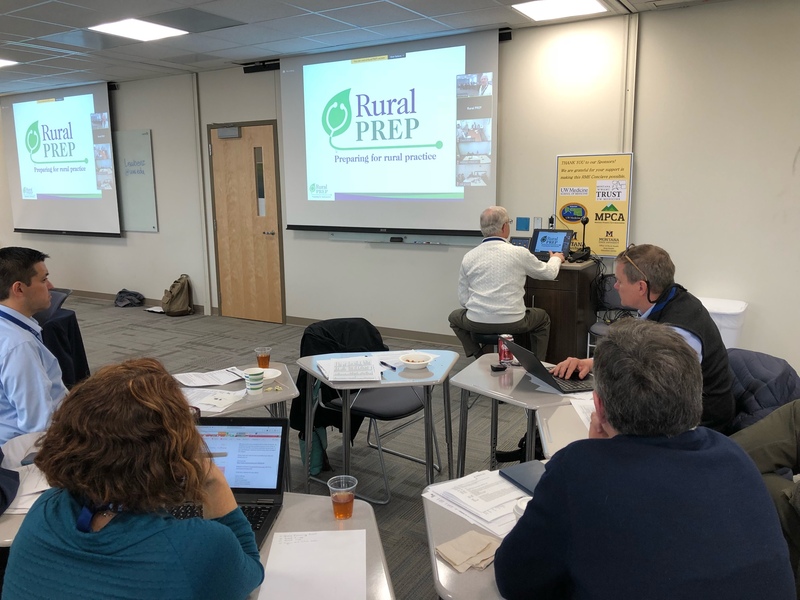 The Rural PREP team is continuously recruiting presenters on a variety of topics relevant to rural health and practice through an open request for proposals. 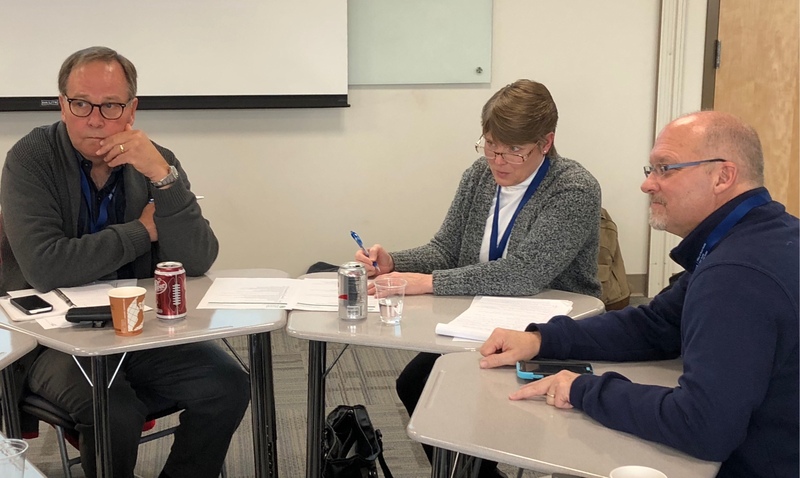 Anyone engaged in rural practice or in rural health professions education— student, faculty, resident, or other— can submit a topic and the team will work with you to prepare a presentation. You can even nominate a peer or faculty person! If you have an idea for a 12-minute presentation relevant to rural health, fill out the short form on our submission page. 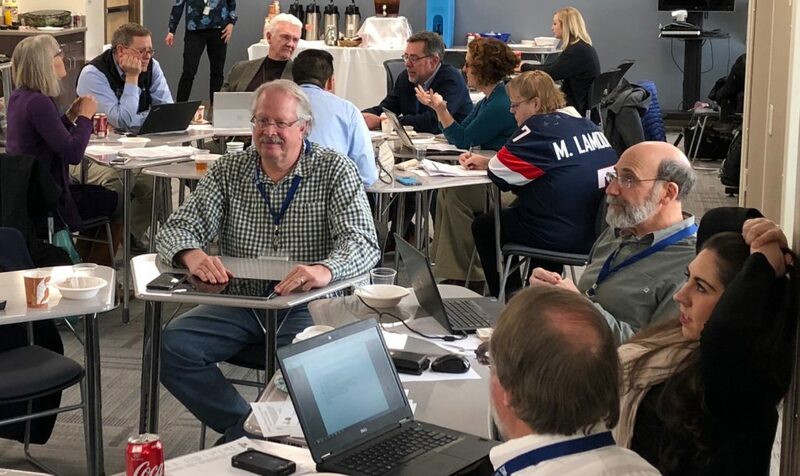 If the idea you submit seems appropriate for the TBL format and for a 12-minute presentation, the team will contact you for additional information. Wish to Participate in a Live Session? Generally, the topic and time of a live session will appear on this page 30 days prior to the event and you will be able to register as a participating site. You will be asked to furnish contact information and attest to meeting the requirements for participation. Interested in previous Grand Rounds topics? 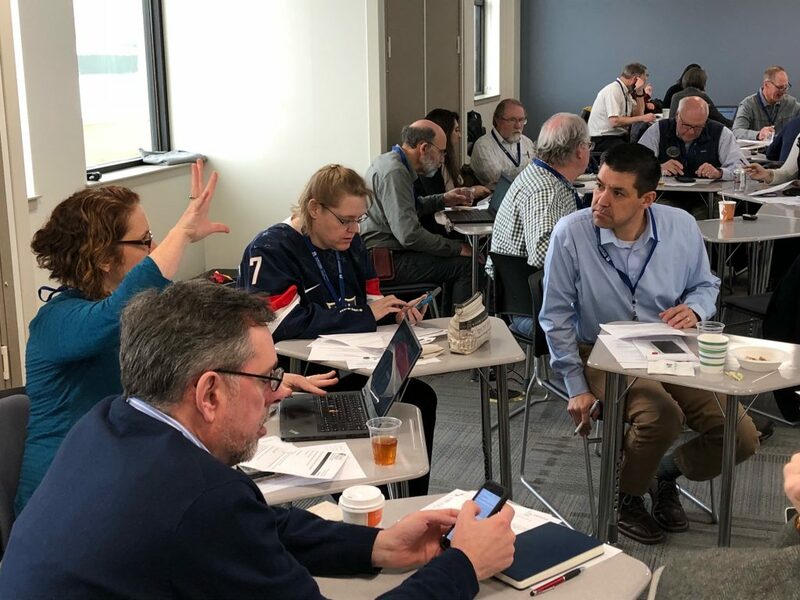 After each event, our team uses the content from our expert presenters to build active-learning lesson plans that you can use at your individual site. Follow our detailed facilitator guide to organize and conduct your own active learning session.